The raw chocolate recipe that everyone can enjoy all of the time. Many holistic beauties don't actually know the reason that chocolate is so healthy or why even dark chocolate is not as good for you as they tell you it is. The number one reason that chocolate has been called a super food, is because of it's massively high antioxidant count. What most people don't know is that every single chocolate bar on the shelf uses roasted cacao beans, not raw beans, which kills all the antioxidants simply leaving us with that tasty chocolate flavor and virtually no health benefits. Plus even the darkest of organic chocolates is not only made with roasted beans but is also full of processed sugar which is the leading cause of body fat and inflammation in the body. So honestly most chocolate, even the one you found at your local co-op is not actually benefiting your health. The only kind of chocolate that is actually killing free radicals and turning back the clock on aging is 100% raw chocolate. 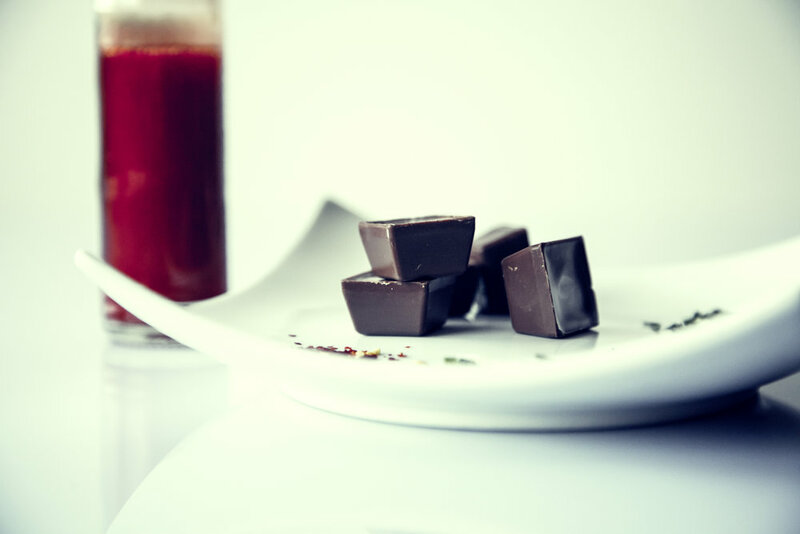 I am dedicated to spreading the word about the power of raw chocolate and teaching holistic leaders like you how you can eat chocolate every day knowing that it is actually healing your body. Here is a recipe that has no sugar, no dairy, no nuts and is 100% good for you! Enjoy! Heat the cacao butter in a frying pan on simmer until it starts to melt, then turn the heat off. Keep stirring as you add thecoco butter vanilla and maple syrup. Slowly add the raw cacao powder as you continue to stir until the chocolate mixture is smooth. Add the mint extract orother flavoring last. Pour the chocolate mixture with a teaspoon into a flexible ice tray or chocolate molds. Don't fill ice tray to the top, keep each piece thin. Place the flexible ice tray into the freezer for 20 minutes. Take out and use a butter knife to loosen the chocolate around the edges, before popping out of the ice tray, so that you don't break the chocolate. Keep refrigerated when you are not eating. Enjoy!